Today we’d like to introduce you to Emily Wilderman. Emily, let’s start with your story. We’d love to hear how you got started and how the journey has been so far. After numerous years in Corporate America’s technology industry I decided it was time to pursue my long time goal of being a small business owner and somehow incorporate my passion for wine, food and travel. This ultimately led me to the WineStyles family and in January 2014 I took over the WineStyles Park Ridge location. 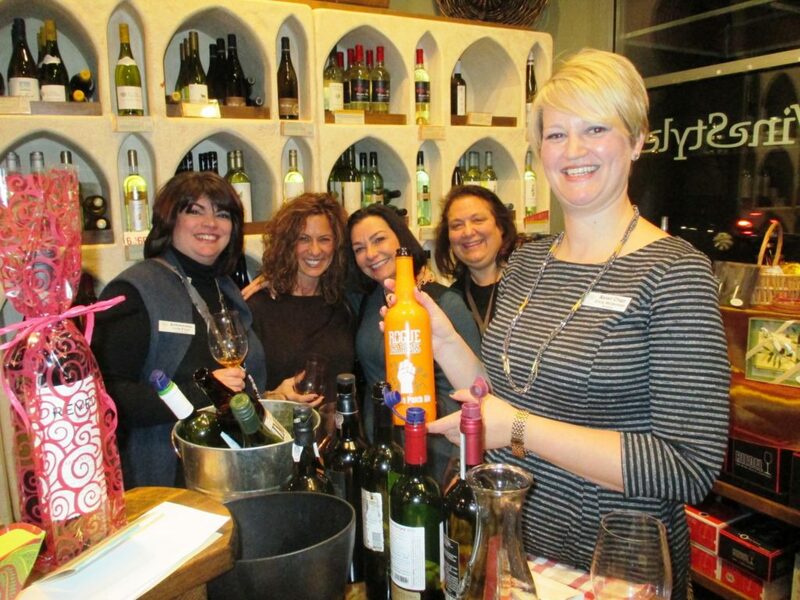 Since then, I get to share my love of wine with my customers and the community of Park Ridge. The goal is to demystify the wine buying process and provide people a comfortable and welcoming environment to sample new wines and learn about wine. 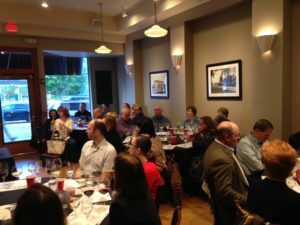 My focus continues to be educating people about wine as well as craft beer through our wine/craft beer clubs, weekly wine tastings, education classes and winery focused events. I’ve also been able to incorporate my other love of food by hosting wine dinners and cooking classes and of course helping people find the perfect pairing. There of course have been struggles. This is my first business and it was daunting to take on all aspects of sales, marketing, finance, purchasing and payroll. For me it helped that I was part of a franchise, so I had operational support and best practices I could use–plus the corporate team.I also took over the store in January which is the slowest time in retail and the weather that winter was horrible! 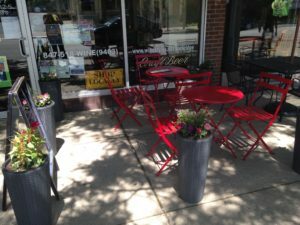 There were definitely days that I questioned my decision to own a storefront!Lastly, you can buy wine and craft beer at a lot of places here in Chicago and the suburbs so it’s really about creating an experience for the customer. 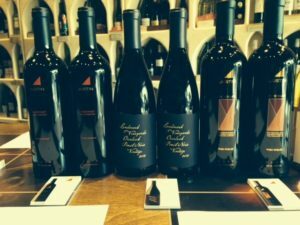 I’m price competitive where I can be but I also focus on less commercial wines, smaller wineries and more unique offerings. Again, I focus on our club members and various events and tastings to cultivate more of a gathering spot then simply a retail store. So let’s switch gears a bit and go into the WineStyles story. Tell us more about the business. WineStyles® Tasting Station® offers guests a unique experience and ambiance that is reminiscent of an old-world wine cellar. Inside, customers are afforded the opportunity to Taste, Learn, and Enjoy® the best in wine, craft beer, fine chocolates, and other gourmet items.Additionally, our boutique features a variety of gifts, accessories, customizable gift baskets, monthly wine and beer clubs, a frequent buyer program, and a variety of special events and tastings. We also provide an intimate setting to host private events for any occasion.Unlike other stores, we classify our wines by ‘Style’ instead of varietal or country. This allows customers to find wines of similar taste profiles. We offer over 200 different wines from every wine producing country and most wines are between $10-$30. Our most popular fall within our 6 wines for $60. We also have about 100 different craft beers that customers can mix & match.We also offer wines and craft beers by the glass along with small plates to enjoy. This allows customers to come in anytime to pick something new off our menu or an old favorite off the shelf. I haven’t really thought about it as “good” or “bad” luck. I’ve worked really hard throughout school and then in my corporate job and now owning a business to be able to do what I love and be successful at it. I’ve been fortunate to have some great mentors along the way who have guided me, educated me and been my cheerleaders…including in my personal life. These things are what led me to where I’m at now.I’ve definitely had some disappointment along the way, personally and professionally, but I’ve learned things from all of them. Specifically in business, I remember times when I interviewed for jobs that I thought I really wanted and was upset when I didn’t get them….but many times it led to different opportunities that actually ended up being better. I’m more of a ‘things work out for a reason’ person. Getting in touch: Voyage Chicago is built on recommendations from the community; it’s how we uncover hidden gems, so if you know someone who deserves recognition, please let us know here.